Samsung has finally unveiled the Galaxy Note 3 to the world today at their Unpacked Event at IFA in Berlin. Amidst a ton of speculations and rumors, we finally have a look at the much awaited Samsung Galaxy Note 3. 1. Compared to the previous version of the Note, the Note 3 has more squared corners than the rounded corners we saw on the Note 2. The Note 3 weighs in at 168 gms and much like the Samsung Galaxy S4, it has a thin metallic bezel surrounding the four sides of the phone. 2. The galaxy note 3 comes with a 5.7 inch 1080p SUPER AMOLED Display. 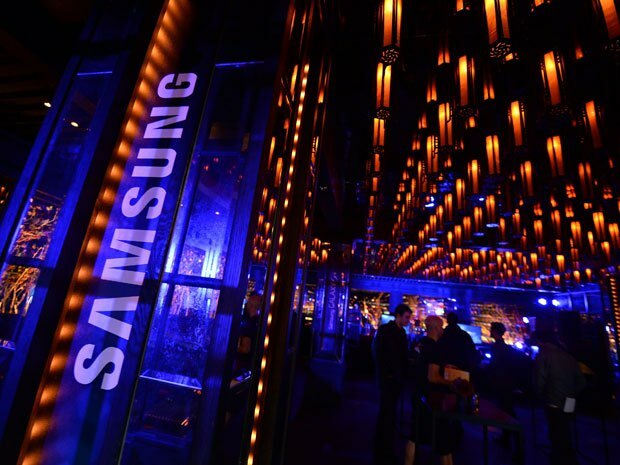 We have all seen the 1080p on the S4, but with a 5.7 screen, we are in for a visual treat from Samsung. Also as we had speculated in our earlier article Samsung has managed to keep the width of the Note 3 same as the Note 2, while increasing the size of the screen at the same time. Another great piece of design engineering from Samsung. 3. The processors as we had predicted earlier are the 2.3 GHz quad core snapdragon 800 processor for the U.S. version of the Note 3 and for the International version we have the supercharged 1.9 GHz Exynos 5 Octa-core processor. 4. Samsung have also pumped up the battery for the Note 3 with 3200 mAh battery. Because of the stunning SUPER AMOLED 1080p screen, and the Octa-core processor, a large battery was inevitable and Samsung guarantees video playback of upto 13 hrs, almost 4 hrs more than its predecessor, the Galaxy Note 2. 5. The Note 3 comes with a 13 Mega Pixel back camera and a 1.9 MP front facing camera. Also Samsung has introduced the 4K recording in their camera, alongwith a HIGH CRI LED flash which produces more light than its predecessor. They have also made changes to the audio with the Introduction of UHQA (Ultra High Quality Audio) which promises to play high quality audio of 24 bit at 192 KHz. 6. Also squatting earlier rumors of 2.5 GB of RAM, the Note 3 comes with 3 GB RAM to power your device. The Samsung Galaxy Note 3 comes in three colors, the Classic White, Jet Black and Blush Pink. After a little hands-on, I have to say the Jet Black looks absolutely amazing. 7. Also Samsung is promising to introduce a lot of accessories, like the S-view cover, with a bigger view, the flip covers in more than 8 colors and it has been designed by Moschino and Nicholos Kirkwood. The Note 3 will be available in the U.S. and Japan in early October and for the rest of the world, they can get their hands on this amazing piece of device as early as the end of September. 1. Though there is not a tremendous change in software as compared to the S4, there are some software tweaks that I would like to discuss. The Note 3 as I had mentioned in the earlier article have designed the software according to the implementation of the S-pen. The S-pen is more smarter than ever, apart from recognizing handwriting and symbols, it also remembers if you had written something down earlier and forgot to save it. 2. Air Command: While hovering the stylus over the screen, you will notice a small dot and if you click on the dot, a pop-up will appear letting you access 5 commands which you can perform quickly, like taking down notes, etc. it can be accessed from anywhere, anytime on the screen. 3. Action Memo: this S-pen feature will allow you to store notes and numbers and also automatically save it to Cloud network. You can use the information on the memo and use it for some action, like sharing or saving contacts etc. without personally having to type in a word. 4. S Finder: something that I have always wanted on my phone. S-finder is something that Microsoft provides in their desktop software’s. In simple words, it is a search tool; it can search keywords from the file or the file name itself and retrieve the information from your phone. Enough of going into My Files each time and searching stuff manually. Something as simple as this, and we have never seen it on any other phone before, very helpful tool. 5. Advanced Multitasking: if you were impressed with the multitasking feature on the previous version of the Note, get ready to be blown away because this time you can open the same app on two different windows. It can be used while chatting simultaneously with two different people. Super Cool!! 6. Scrapbook: The scrapbook is as it seemed on first look as Samsung’s reply to the HTC Zoe that we saw on the HTC One. In the Scrapbook introduced by Samsung, you can store your images, videos, and web content, everything in an organized and collective manner. It looks and feels like Samsung version of the Flipboard and HTC Zoe all integrated into one. 7. Multi-Vision: This is what I love about Samsung; they put everything out on the table. If you thought Group Play was an original concept and connecting different S4 handsets and converting it into a surround system was too much, think again. In Multi-Vision, using Group Play, you can connect two or more than two screen and convert it into one large screen. Though it sounds gimmicky and not something that we would use a lot, but How Cool is that? 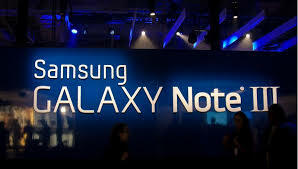 With some amazing software upgrades, the Samsung Galaxy Note 3 has surely set the bar high for the likes of HTC, Sony, LG who are also due to announce their Phablets at IFA. Also with so many upgrades to the Note 3, should Apple be worried with its iPhone launch just later in the month? Will Note 3 eat Apple’s share of the pie yet again? Keep reading ViralBond for more articles on IFA 2013. I will write a full hands-on and review article of the Samsung Galaxy Note 3 later on. Please like and Subscribe to our Blog and follow us on Google Plus. Please leave a comment for suggestions and feedbacks. Although I'm signed on as anonymous I'm not connected with this site & my normal Net name is Mystic Merlin. Anyway, I think that this article was informative & was quick in being displayed on the Net. I've been looking forward to today's release of Note 3 & because my contract had run out on the 20th August I'm due for an upgrade. But for me, what has put the spanner in the works is the new Sony Xperia Z1. I've only just glimpsed on some of the specs & it looks impressive. I'm not new to Sony or Samsung as I've still got the Galaxy S2 & the Xperia X10i. So I've got some investigating to do & some thinking as well. Also looking forward to the Sony Z1 or Honami. The only problem I see with the Sony Xperia Z1 is that it does not come with a stylus. And you will know if you've had a Note before, that the experience with a stylus is what differentiates the Note from the rest of the competition.